We help you find a reputable company to carry out your home improvement and are here to offer advice and protection in the event of a dispute or complaint. Many trades take a deposit before starting a job – this is usual practice. Making sure your deposit is insured is essential to ensure that your home improvement project reaches completion, even if the company you choose were to fail. 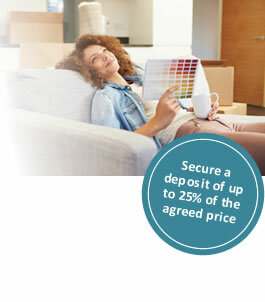 Without a deposit, you run the risk of losing your money and your dream home. Usually it is down to your tradesman or contractor to protect your deposit, but many times customer deposits aren’t secured. It is vital to check that your approved builder, installer or contractor protects your deposit before beginning work on your property, so your hard earned cash is safe. The CPA holds a database of tradesmen who can offer you a deposit protection scheme. By choosing a CPA member to carry out work on your home, you are not only choosing a rated tradesmen whose standard of work has been checked and verified, but your deposit will be insured. The CPA deposit protection scheme is insurance for the deposit you pay to secure the work to be carried out on your home. This insurance covers a deposit of up to 25% of the agreed price with the company or £7,500, whichever is the lesser. Ensure that your chosen home improvement contractor is CPA approved – you can find one by contacting us online. Check that your CPA verified installer provides you with a Deposit Registration form – this is your written proof that your financials are properly protected. Register your deposit with The CPA – this allows a claim to be correctly assessed fully should your chosen contractor enter liquidation. If possible retain a copy of each of the following: Written guarantee for the agreed works, proof of purchase & contractor’s outlined terms & conditions. The policy covers you for a period of up to 90 days from the date you pay your deposit. If you have paid a deposit to a company who then ceases to trade due to liquidation, receivership, administration or winding up the business due to bankruptcy, state retirement or death of the principal(s), your deposit is either refunded to you in full, or the work is completed by another company at the balance agreed price. You MUST register your deposit, otherwise you will not be covered. When paying your deposit, you must ask the CPA member for a Deposit Registration form. This must be returned to us by recorded delivery within 7 days. The Consumer Protection Association will not provide you with a personal recommendation as to whether Deposit Protection is suitable for your needs.